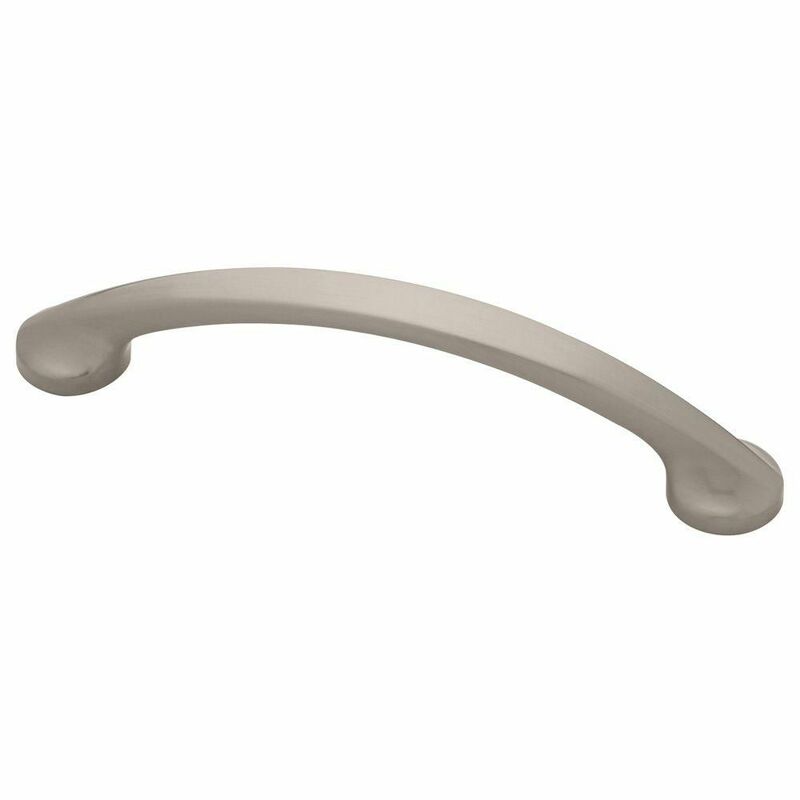 3-3/4 Martini Classic Pull, 1 per pkg Enhance the decor in your kitchen or bathroom with the Liberty 3-3/4 in. Martini Classic Pull. The die cast zinc body comes in a satin nickel finish. The pull features a 3-3/4 in. center-to-center rear-mount installation. Rated 5 out of 5 by dan from nothing special about them really. They fit our decor.... nothing special about them really. They fit our decor. I really want to see what they look like in 2-3 years after some wear and tear. THEN we can tell you how good the finish quality was, etc. Rated 5 out of 5 by Bob from They go well with our new cabinets.... They go well with our new cabinets. Rated 5 out of 5 by Unclemikefusny from Fit perfectly with our new cabinets. Fit perfectly with our new cabinets. Rated 4 out of 5 by HomeDepotCustomer from They look great on our kitchen and bath cabinet remodels... They look great on our kitchen and bath cabinet remodels in our apartment community. Rated 5 out of 5 by Heather from Great product. Was just what we need for our cabinet... Great product. Was just what we need for our cabinet drawers.